Companion Cube Xbox Theme There are 4 Reviews. Average Rating 4.75/5 making this product 95.00% AWESOME! Area and state regulations do not allow the Companion Cube to remain here, alone and companionless. Now you can take your own with you. 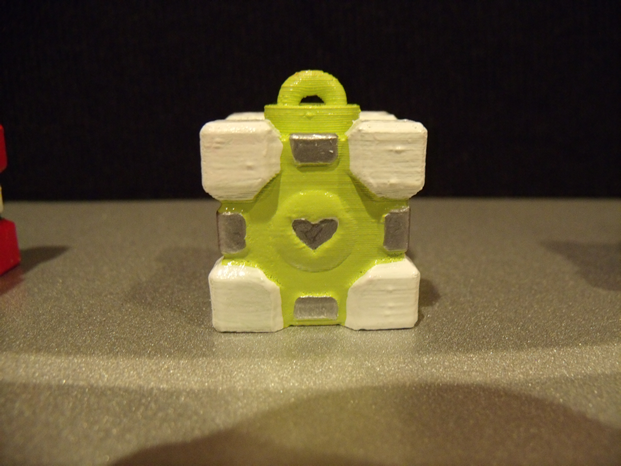 This Companion Cube Charm also makes a great gift for Xbox fans too...are you still there?